Science is popularly understood as being an ideal of impartial algorithmic objectivity that provides us with a realistic description of the world down to the last detail. The essays collected in this book—written by some of the leading experts in the field—challenge this popular image right at its heart, taking as their starting point that science trades not only in truth, but in fiction, too. 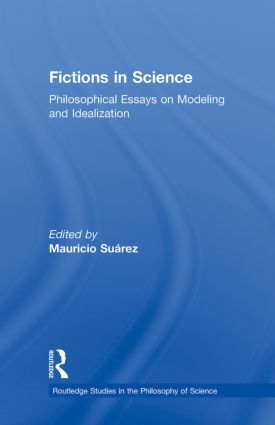 With case studies that range from physics to economics and to biology, Fictions in Science reveals that fictions are as ubiquitous in scientific narratives and practice as they are in any other human endeavor, including literature and art. Of course scientific activity, most prominently in the formal sciences, employs logically precise algorithmic thinking. However, the key to the predictive and technological success of the empirical sciences might well lie elsewhere—perhaps even in scientists’ extraordinary creative imagination instead. As these essays demonstrate, within the bounds of what is empirically possible, a scientist’s capacity for invention and creative thinking matches that of any writer or artist. When Does a Scientifi c Theory Describe Reality?